The Nutrition-Sensitive Agriculture Coordinator will work as part of an interdisciplinary team, under the guidance of the Area Programme Manager Singida-Dodoma. She/he will be based in Singida-Dodoma and will be responsible for coordinating with project Nutrition Officers to identify and provide assistance to members of Care Groups. Assistance includes productive asset transfers, agricultural production training, homestead garden support and training, post-harvest handling and storage assistance, and food preservation training. She/he will also manage the formation of village Savings and Loans Groups (VICOBAS) composed of members of Care Groups who voluntarily wish to join. She/he will also be responsible for working closely with Nutrition Officers to identify and train various stakeholders in nutrition-sensitive agriculture including the importance of diversified household food production and consumption, sanitation and hygiene practices, and gender-equitable household decision making regarding food security resources such as food, food storage items and potable water devices such as filters. He/she will be responsible for ensuring high quality project implementation, monitoring and reporting of all project activities. 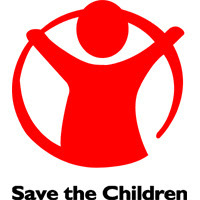 Save the Children has been operational in Tanzania since 1986 providing support to children through developmental and humanitarian relief programmes delivered in support of Government of Tanzania priorities and policies both directly and through local partners. Current programming focuses on child protection, child rights governance, education, nutrition, HIV/TB and emergency response. In 2012, as part of a global reorganization process, Save the Children combined programmes of SCUK, SCUS, SC Sweden to create a single operation in Tanzania. We currently have an operational presence in Lindi, Shinyanga, Zanzibar, Songwe and Kigoma and we work through partners in other parts of the country. We employ nearly 100 staff and have an annual operating budget of approximately $10 million.